Before we get to it today, I've got to tell you something important. You have to watch Cloverfield, if you miss this movie you're crazy. Drop all of your plans for the night and go watch this movie. 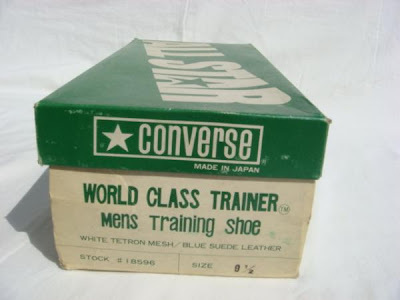 Now, The Converse Blog's Friday Flashback: World Class Trainer. 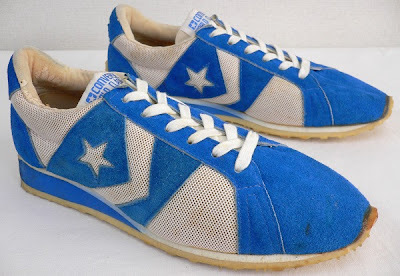 The Converse World Class Trainers are from the 70's when Eltra owned Converse. 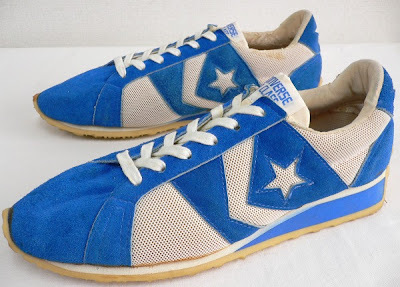 I would love to see these re-issued by Converse as the really seem to stick out from other running/training shoes of that era. 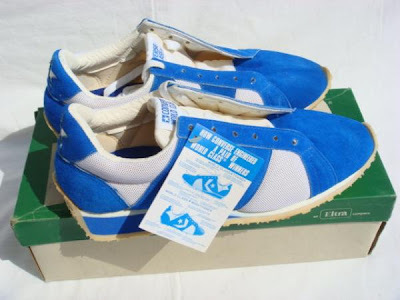 I love the blocking between the white-color-white on the sides of the shoes. Also the Chevron for this model is pretty unique, it gets wider the further out it goes. 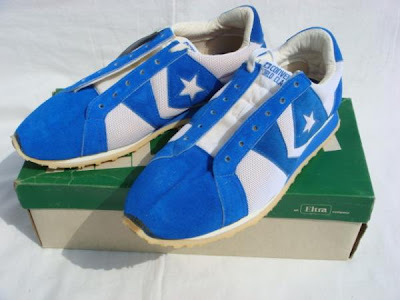 I've seen this on a few models, mostly from this era. 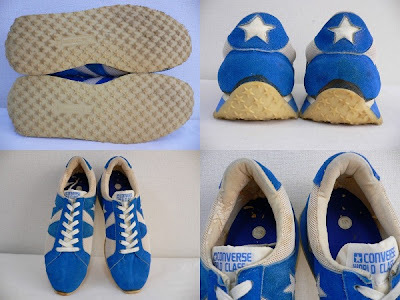 I got these pictures from ebay and Yahoo Auctions Japan. Also I must admit while watching Andy Roddick get tossed from another grand slam event, I realized that I left Tennis off of the pole at the top of the page. I went to change it, but since there are votes on it I couldn't change it. So if you're wondering, place Tennis in the other category. Thanks for checking out the Blog and don't forget to vote. Never imagined it'd be so easy to get a free website and I really had to tell you guys.